Posted February 10, 2019 at 4:21 pm . 0 comments. 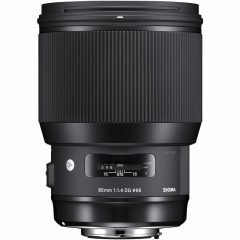 B&H Photo Video has an excellent deal on the Sigma Art 85mm f/1.4 DG HSM for Canon — it’s now only $910.00, after you apply coupon code “YOUGO2BH” in-cart. You also get a free Sigma USB dock. B&H indicates that there is “limited supply at this price” — so please don’t wait too long and miss out.